This demo presents a novel approach to digital character animation, combining the benefits of modular and tangible input devices and sophisticated rig animation algorithms. We overcome limitations inherent in all previous tangible devices using a symbiotic software and hardware approach. It allows users to directly control complex rigs with only 5 to 10 physical modules. 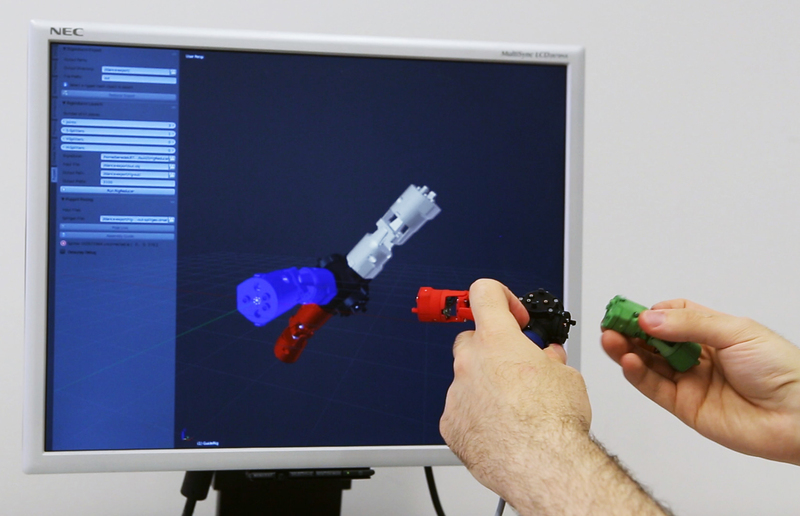 These compact input device configurations—optimized for a specific rig and a set of sample poses—are automatically generated by an algorithm. This avoids oversimplification of the pose space and excessively bulky devices. Example posing session of a bunny character, with a device consisting of four modular parts.